Okay, I am not afraid to admit it; I am a huge Harry Potter fan! I am so excited about the last movie coming out… I already have my tickets. I am also a little sad too; so I decided the best way to enjoy the last movie would be to celebrate Harry himself, with some of my Harry Potter fan friends. 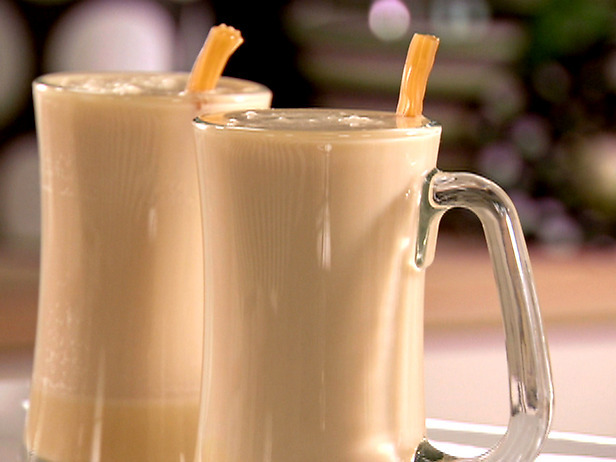 To complete the celebration I will make some homemade butterbeer! I searched online and there are lots of recipes out there. This one seems to be one of the simplest and came courtesy of http://www.foodnetwork.com/. I am also going to try to make my own pumpkin juice (also tons of recipes out there) but instead of doing it with pineapple juice, as so many recipes call for, I am adding in apricot juice! I am going to make some fish and chips, and we will probably play a game of Harry Potter Scene-It! I guess my whole point in this is that a party doesn’t have to be some huge drawn out affair. Make it special for the people you are inviting and everyone will have a good time. Don’t be afraid to not party like a rock star! Divide butterscotch mixture between 2 (10 to 12-ounce) mugs. Fill mugs with heated cream soda and stir thoroughly. Serve garnished with an old-fashioned butterscotch candy stick. Dissolve 1/4 cup of Brown Sugar into 8oz hot water. Add one half of 0.74oz Apple Cider package to mixture. Let cool. Put 1/4 cup of Cider mixture in glass. Add 8oz Cream Soda. Add Buttershots Schnapps to taste. May reduce 8oz water and Soda to fit into 8oz glass. 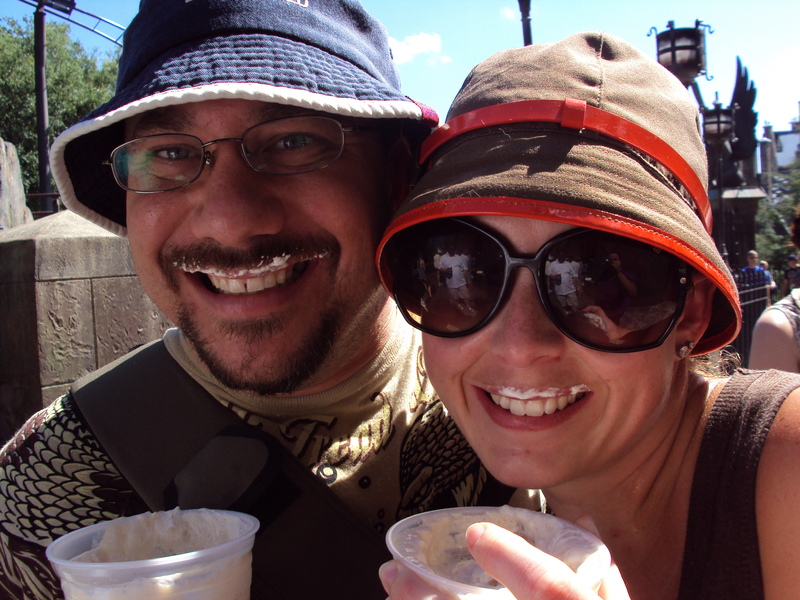 My husband and I enjoying butterbeer at Universal Orlando! 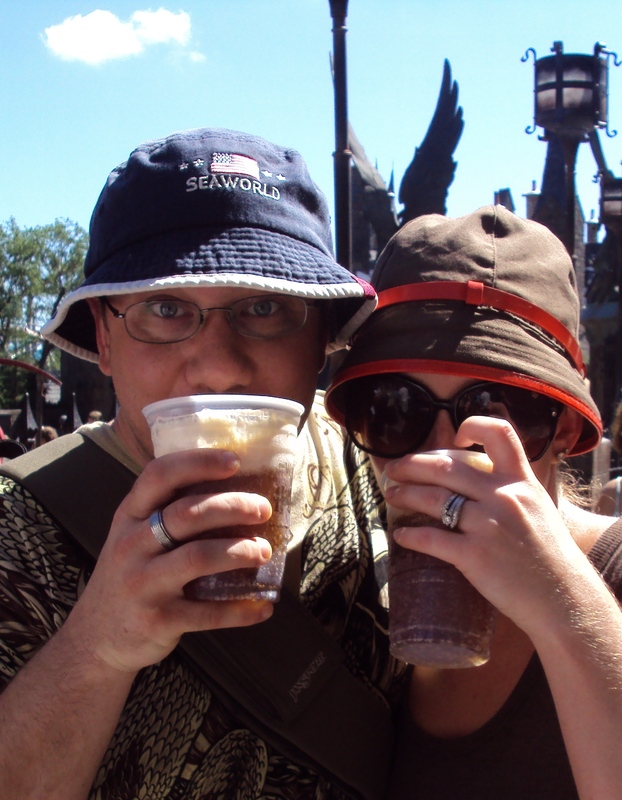 Nothing better than a butterbeer mustache! I recently threw a baby shower for a friend of mine and while I was searching for decoration ideas and inspiration my eye kept getting caught by these cute banners I saw with the expectant baby name on it. I thought what a cute idea to really personalize the event, and it is even something that could hang in the baby’s room once they arrived. I thought I could make one of those… So I got some nice card stock and some small black ribbon and “wallah”! I was able to recreate those cute banners at a fraction of the cost! A cute way to really personalize an event!